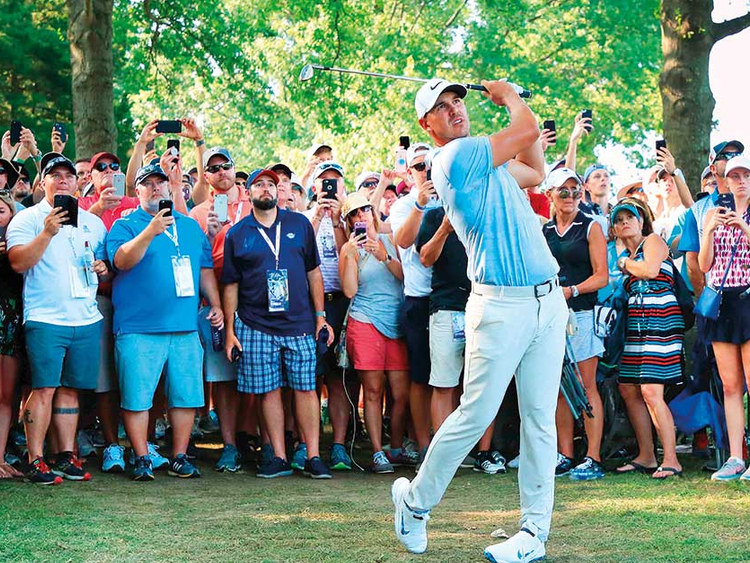 St. Louis: Brooks Koepka went largely unrecognised when he went to a local fitness centre with Dustin Johnson before Saturday’s third round at the PGA Championship but by day’s end he was on the threshold of golf’s most elite club of young players. Despite defending his US Open title in June, Koepka remains something of an afterthought with the golf public. But he will be very much front of mind for more heralded rivals on course. “You should see the best players in the world come to the top.” Koepka was waltzing along with a five-shot lead until his flawless 43-hole stretch ended with a bogey at the par-four 14th. “But you just get on with it. You try to make the best of a bad situation and just keep rolling with it.” Koepka said his form at last week’s World Golf Championships event, where he finished fifth, had been better than in either of his US Open victories, except for his putting.